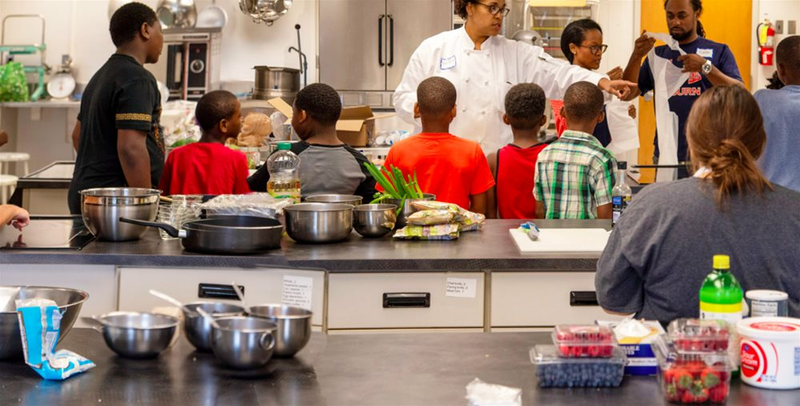 Auburn University's College of Human Sciences will host a nutrition and cooking day camp, Camp CHEW, June 10-14, 2019 in Spidle Hall. The camp is for children ages 8-13 and the cost is $300. No prior cooking experience is necessary. At Camp CHEW, the recipe for eating healthy starts with meaningful practice. During our weeklong program, our campers have the opportunity to learn about healthy eating habits in a memorable way by getting creative in the kitchen. Our camp is designed so that your child can improve their culinary ability, confidence, and nutritional know-how through cooking sessions and interactive lessons led by our attentive Nutrition faculty. Throughout the week, activities will supplement their nutritional understanding and expand their interest in crafting a balanced diet. Camp CHEW is a great way for your child to have fun with healthy eating! There are 25 spots available. To register, click here. Please email Onikia Brown or call (334) 844-3161 with any additional questions.